Newest (and hopefully best) stuff at the top. Titter : Twitter Double Entendre Detector In order to seek out double entendres on Twitter, I grabbed any response tweets which mention 'oo-er missus', 'fnarr fnarr', 'Finbarr Saunders', 'that's what she said' or 'is that a euphemism? ', and then loaded the tweet they were replying to. 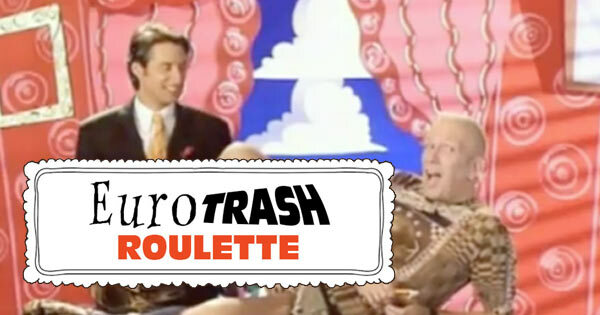 Eurotrash Roulette Missing the weirdos and camp silliness of Channel 4's Eurotrash, I made this tribute. Each click, we'll show you a random YouTube video featuring someone or something which featured on the show. Album Cover Also-Rans I was wondering what iconic albums would look like if the bands had gone with a different image from the same photo shoot. 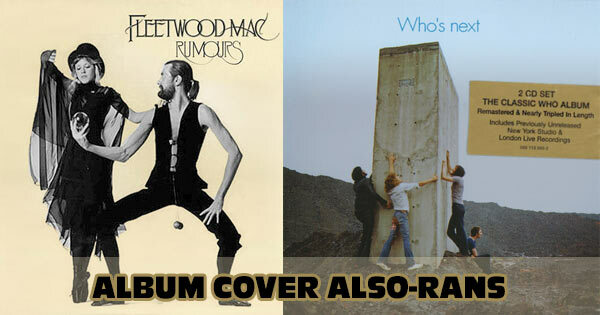 I trawled the web for such images, and mocked up the album covers here. 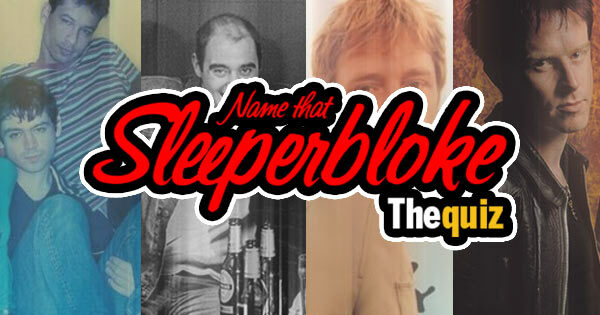 Name That Sleeperbloke 'Sleeperblokes' was how the music press described the more forgettable members of Britpop bands who tended to just hang around at the back of photoshoots. How many can you recognise? Choose Your Own Band Aid A Christmas toy. You are Bob Geldof. Decide who gets to sing which line of Do They Know It's Christmas? for the ultimate version. 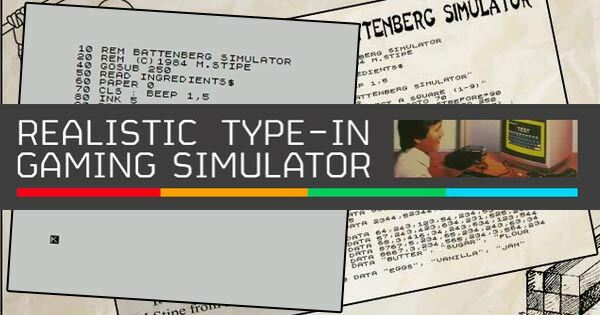 Realistic Type-In Gaming Simulator Relive the fun of 1980s type-in programs, those code listings which were published in computer magazines for users to manually enter before they could play an inevitably disappointing game. It's a keyboard whacker, so desktop only. 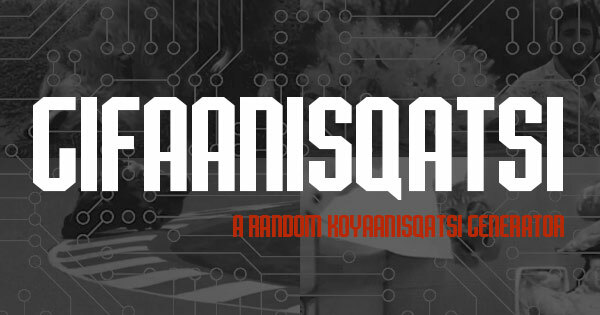 Gifaanisqatsi Koyaanisqatsi is a 1983 wordless documentary primarily made up of slow motion and time-lapse footage. I wondered how easy it would be to make an internet version using random Giphy 'gifs' which have been tagged as slow motion or time-lapse, playing them along with the Philip Glass soundtrack. 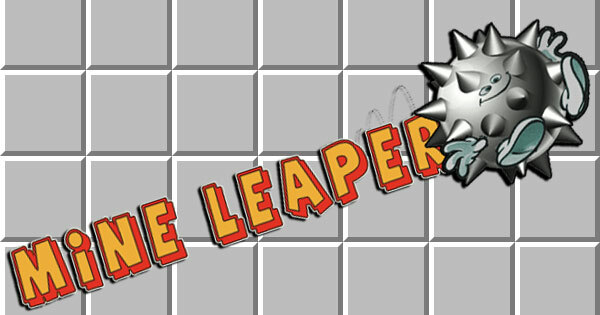 Mine Leaper A cross between Minesweeper and Bounder. Can you bounce all the way up a 7 x 100 grid? 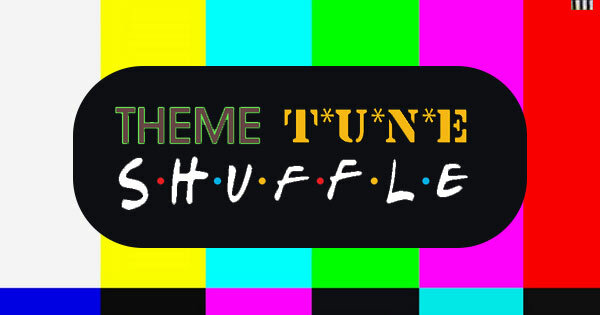 Theme Tune Shuffle Rob Manuel suggested I make a generator in which one TV show's theme tune is played over another's title sequence. 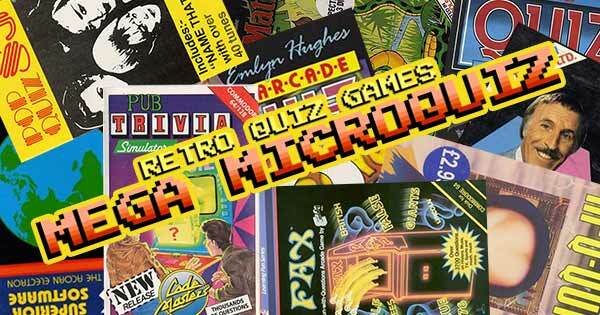 This is the result... Retro Quiz Games Mega Microquiz I've played over 50 old quiz and educational computer games, taking one question from each. You get to play ten of them - can you beat them all? 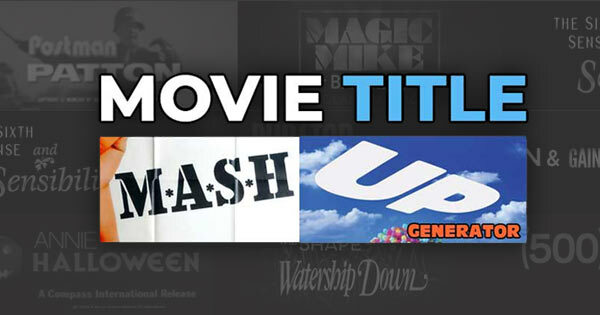 Movie Title Mash Up Generator I took over 5000 movie titles and wrote a script to generate all the times where the ending of one title blends into the start of another. Annie Halloween, Mr Turner and Hooch, Spice World War Z and lots, lots more. 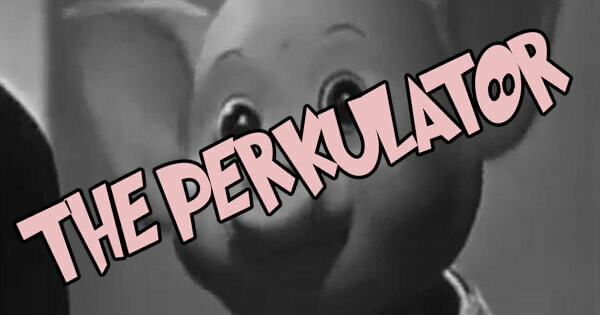 The Perculator : Pinky and Perky Video Maker Select an MP3 from your music collection and this tool will turn it into a 1950s-style Pinky and Perky video. 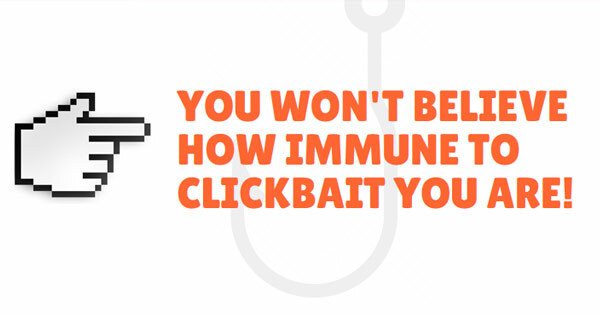 How Immune To Clickbait Are You? We'll show you a mix of the latest clickbait stories and some old classics. Are you now immune enough to not click on any of them? 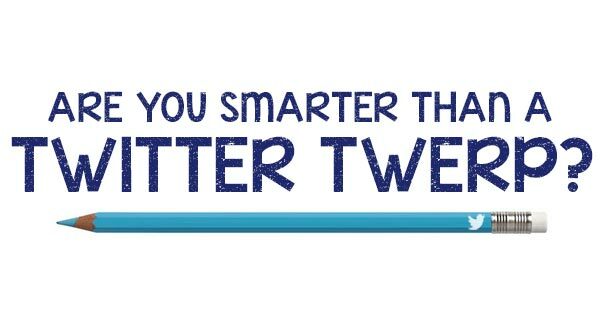 Are You Smarter Than A Twitter Twerp? I searched Twitter for the phrase "I can't tell the difference between". This quiz is made up of a hundred of the ideas I found. 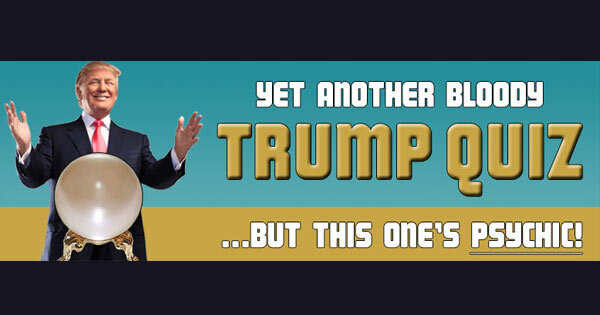 Psychic Trump Quiz Yes, it's another Trump quiz, but this one predicts your final score before you even press play! 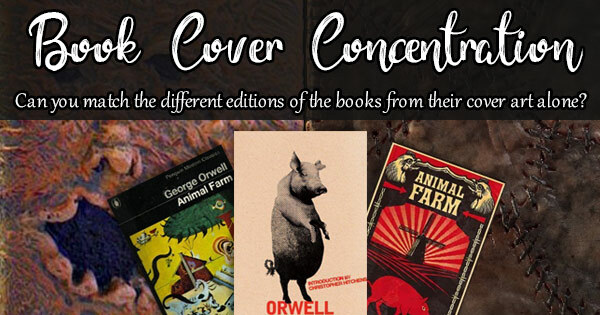 Match The Books To Their Covers We'll show you different editions of the same book. Can you match them? 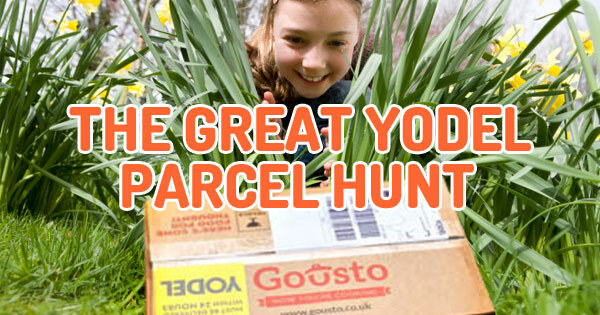 The Great Yodel Parcel Hunt It's the Where's Wally format, but with parcels 'hidden' by Yodel in their safe places. Can you spot them? 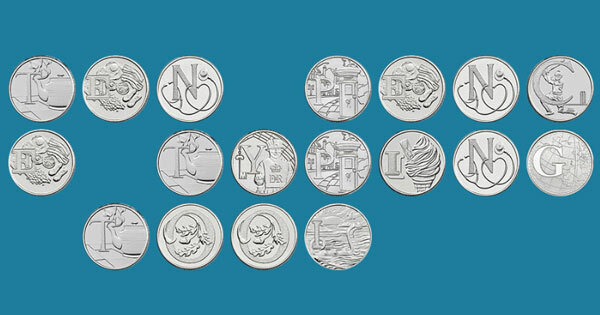 10p Typer The Royal Mint released a limited set of alphabet coins and I turned them into this typing tool so that you can easily create swear words with them. The Naked Gun Random Intro Sequence Generator The Naked Gun title sequence made out of random GoPro gifs. Bandwidth heavy if you are on a mobile or slow connection. 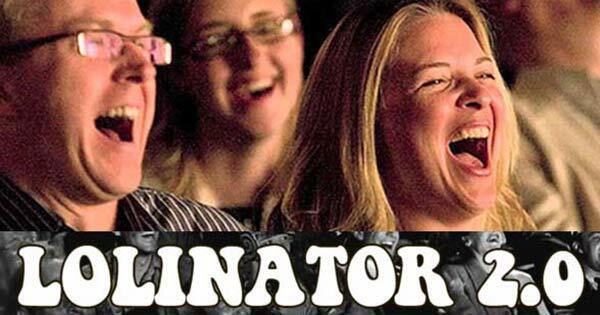 Lolinator 2.0 : Add A Laugh Track Add a laugh track to a YouTube video. It's 2.0 because, whilst the original was better, it was built with Flash and so it died. This one is HTML5, but may still not work on a phone if your phone plays videos in a new window. 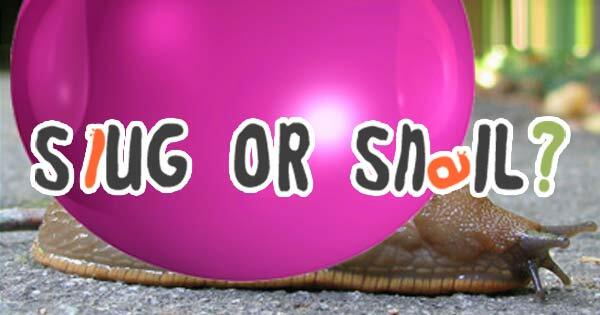 Slug or Snail? Can you tell the difference when you can't see if they have a shell? 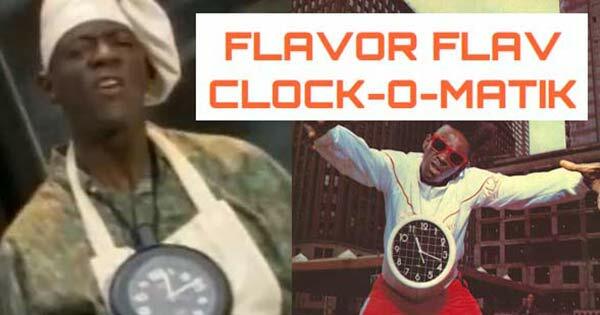 Flavor Flav Clock-O-Matik A Twitter bot which tells the time in pictures of Flavor Flav. 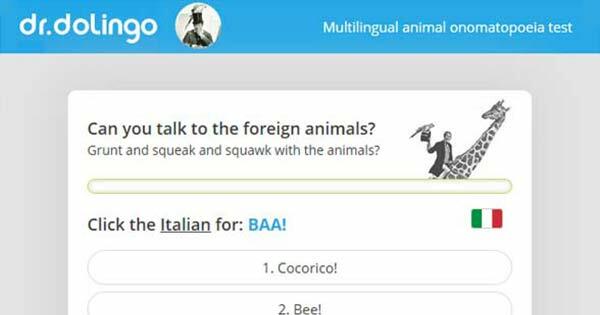 Dr.Dolingo : International Animal Onomatopoeia Quiz Do you know the non-English words for things like Moo and Woof? What Time's On Your Doomsday Clock? 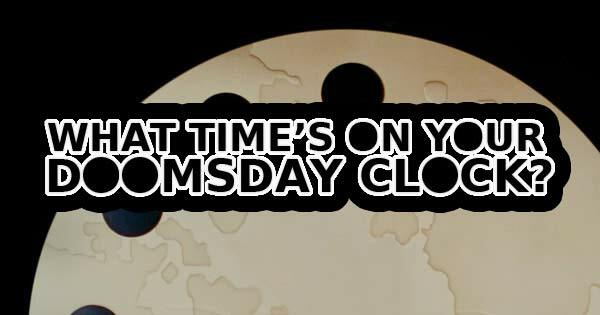 Are you currently worrying about enough things for your doomsday clock to reach midnight? (NB Some of the questions might be a bit 2016, and it no longer pulls trending subjects into the mix like it used to) Beloved Aunt Profanity Search Inspired by the Curb Your Enthusiasm episode where Larry David accidentally writes the c-bomb in a newspaper, I've made this handy tool to seek out the all places where a one letter typo could create a profanity. 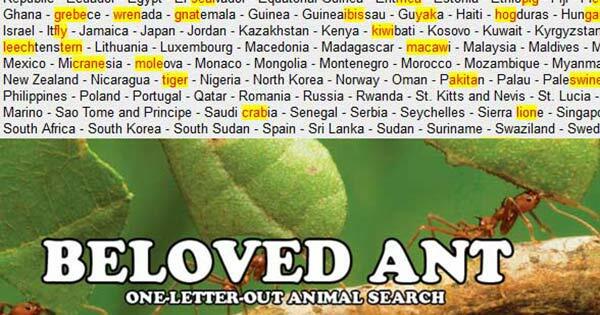 Beloved Ant Animal Search A SFW version of Beloved Aunt. Find all the cases where one letter change would make an animal. 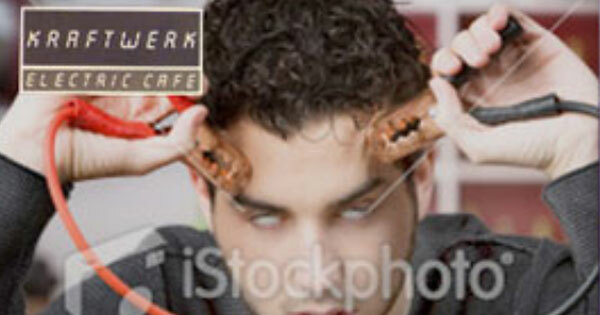 Stock Photo Album Art At their worst, album covers can look like terrible stock photography. I wondered how some records may have looked if, instead of coming up with a concept and commissioning a photo shoot, the designer had just typed the record title into the search box of a Stock Photo site and made do. 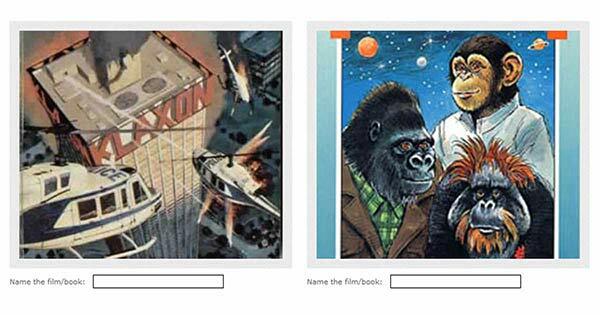 Flick Books : Name the film from the book cover Before a book gets a film adaptation, it's the job of the book cover artist to picture it. As soon as the film comes out, the book cover is usually replaced a boring still from the film. We'll show you 20 covers of books which were later adapted into films. Can you name the film from the original cover? 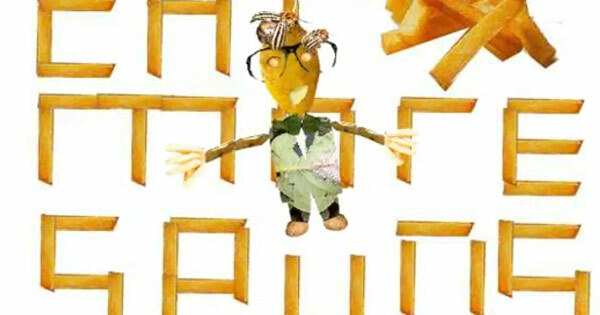 The New Potatoes I made this Flash animation in 2002 for the song The New Potatoes by Denim, when making cheap and cheerful videos in Flash was a popular thing to do. Now converted to video and uploaded to YouTube in order to save it from the Flash graveyard. 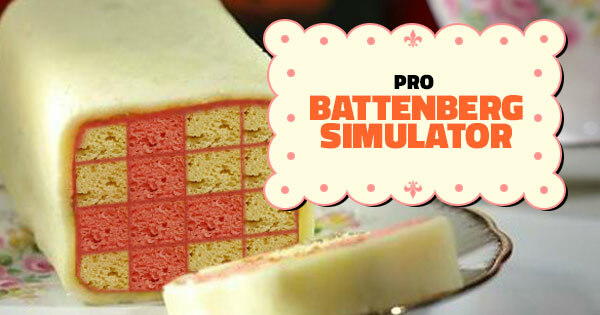 Pro Battenberg Simulator The design-a-battenberg experience from 2008. Now in HTML5. CSS Album Art I was thinking about how so much of what was considered cutting edge graphic design in the 80s is now very simple to anyone with basic design skills. 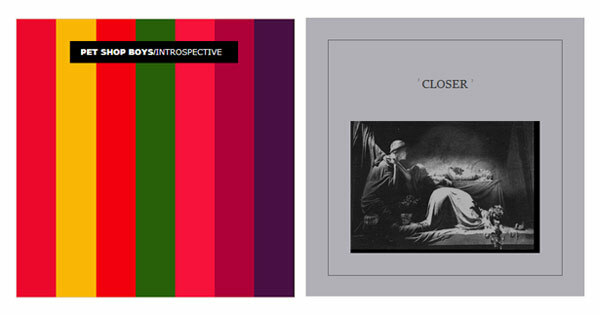 As such, I set myself the geek challenge to re-create album covers of the 80s using only html and CSS. Profanity Adventures Collecting what happens when you type swear words into various 80s text adventure games. Russian Dolls Go on Holiday I made this Flash animation in 2004. It's rubbish, but the idea isn't bad. 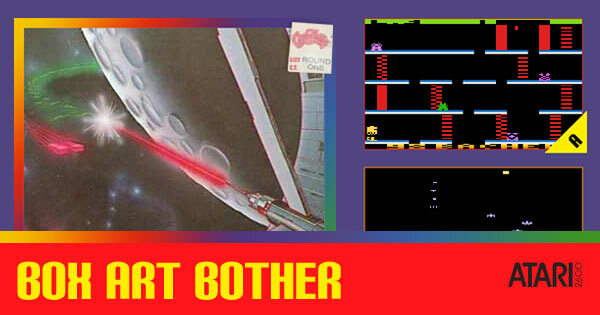 Box Art Bother A 2010 quiz in which you must match the game cover art to the in-game graphics. Images are a bit small now - we had bigger pixels back then. 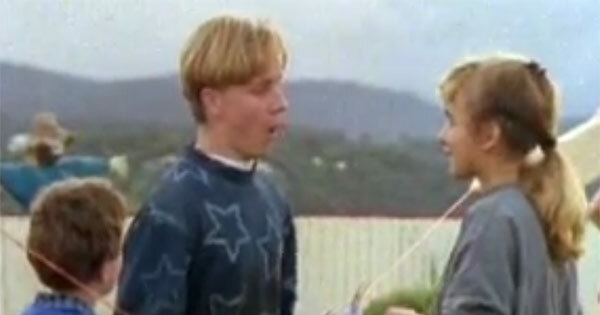 Without My Pants : A Twitter Curse The greatest curse of all time is the one from Round The Twist, in which every sentence Peter speaks gets an additional, involuntary "without my pants". 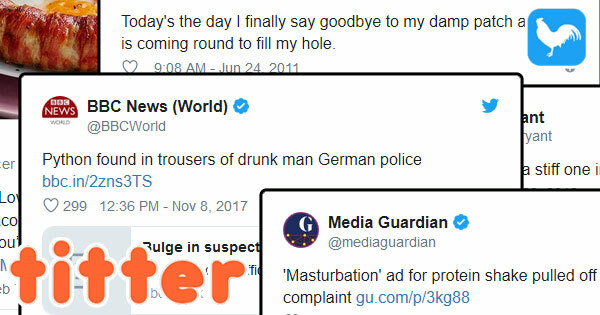 I thought I'd try and have a go at replicating the curse for Twitter. 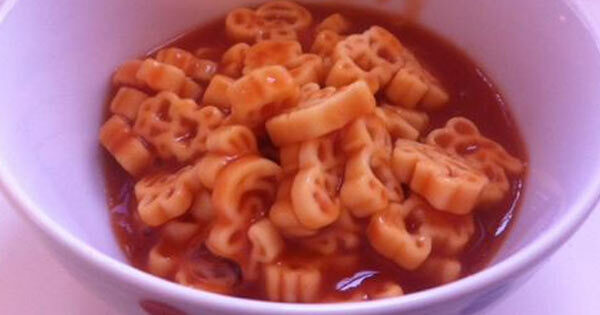 Name that spaghetti shape Tie-in spaghetti shapes are not always quite as they appear on the tin. Can you tell what these shapes are supposed to represent? A quiz from 2006. 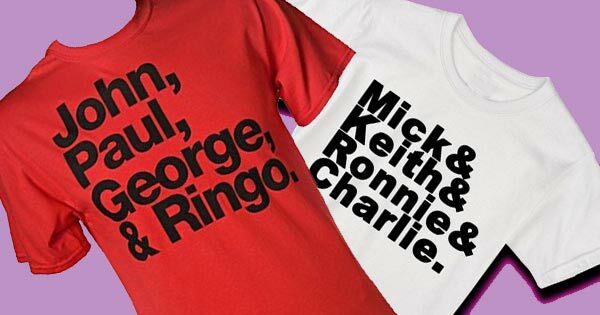 Name the band from the band members' first names When I made this quiz in 2007, there was a trend for t-shirts which read 'John, Paul, George & Ringo' or 'Mick, Keith, Ronnie & Charlie'. The quiz was inspired by those. 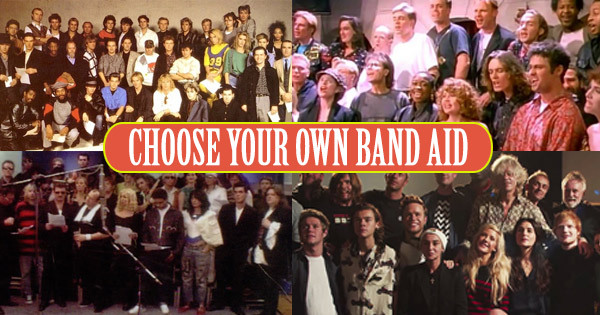 We'll show you the first names of the members of a famous band. Can you name the band? If a lot of this content looks like it was made in 2000, that's because it was. Some require Flash and none are responsive, so they may be a bit fiddly on a phone. Anything faded out has definitely stopped working. I'm unlikely to fix it.